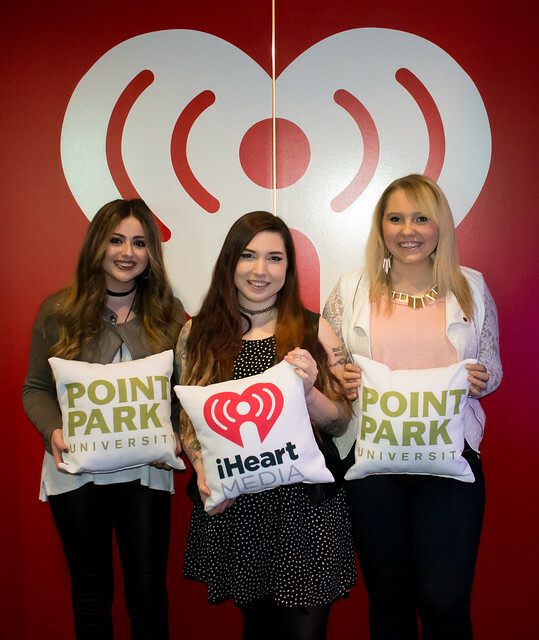 Pioneer Records selected Bryana Appley, Allissa Logsdon and Meg Wills to compete — and perform their original songs — at the Women Who Rock Contest March 22 at the Point Park University Stage at iHeart Media. 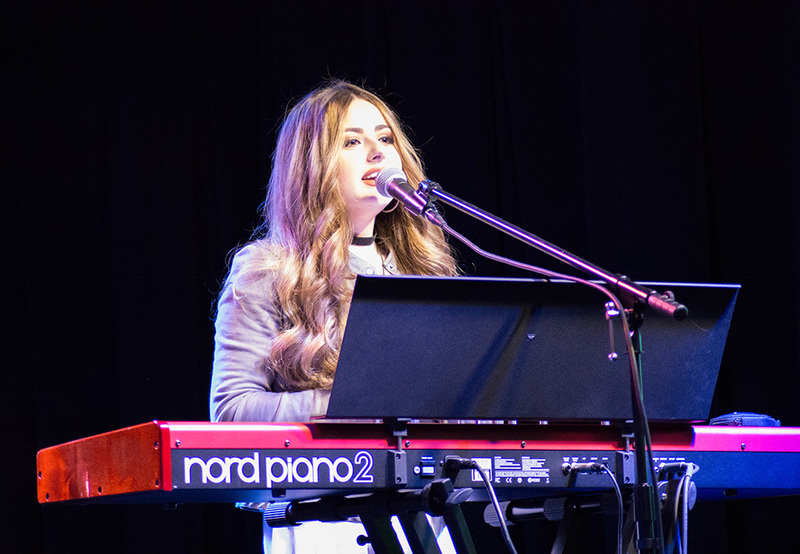 Logsdon won the contest and will go on to compete in the Women Who Rock Benefit Concert, which raises funds for women and infant health research at Magee-Womens Research Institute, May 10 at the Hard Rock Café Pittsburgh. “It was an honor and privilege to perform alongside these two talented ladies,” said Logsdon, a junior sports, arts and entertainment management major from Wilson Christian Academy/Pennsylvania Cyber Charter School. “I cannot express how thankful I am for all the opportunities that Point Park, the SAEM program, Pioneer Records and now Women Who Rock has given me. All of these experiences have already started to launch my career,” she added. SAEM seniors and Pioneer Records apprentices Kylie Koch from Upper St. Clair High School in Pittsburgh, and Molly Knepper from Richland High School in Johnstown, Pa., were among the students who organized the contest at iHeart. “Every event is different and you learn something new each time. As emcee, I had the opportunity to speak in front of some very important people. It was a very supportive environment,” said Koch, who is also an intern for Women Who Rock. “I was on the operation end of the show and responsible for making sure everything that day got executed correctly. Kylie deserves a lot of recognition for how hard she worked with Instructor Melinda Colaizzi and Women Who Rock,” Knepper explained. “I really want to continue to be on the front end of organizing events like this, both small and large scale,” Knepper added. Women Who Rock is dedicated to empowering women in music through educational workshops, performance opportunities and networking events.